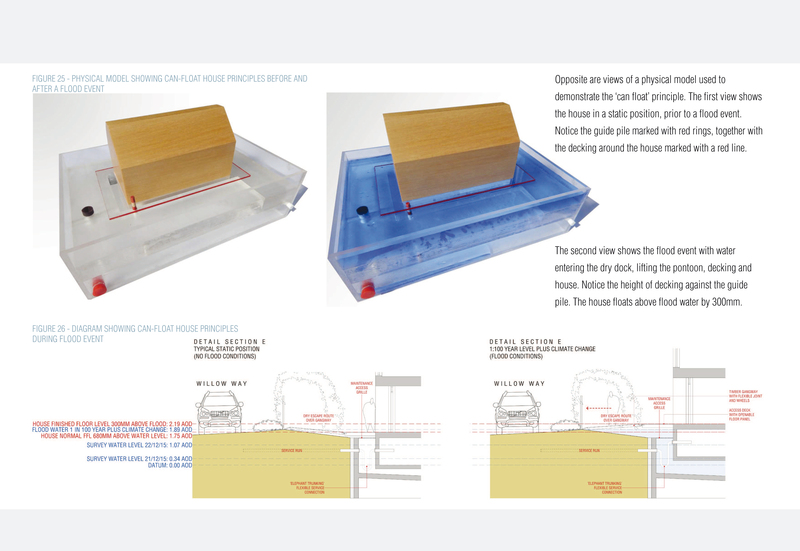 Two new ‘flood resilient’ can-float houses. 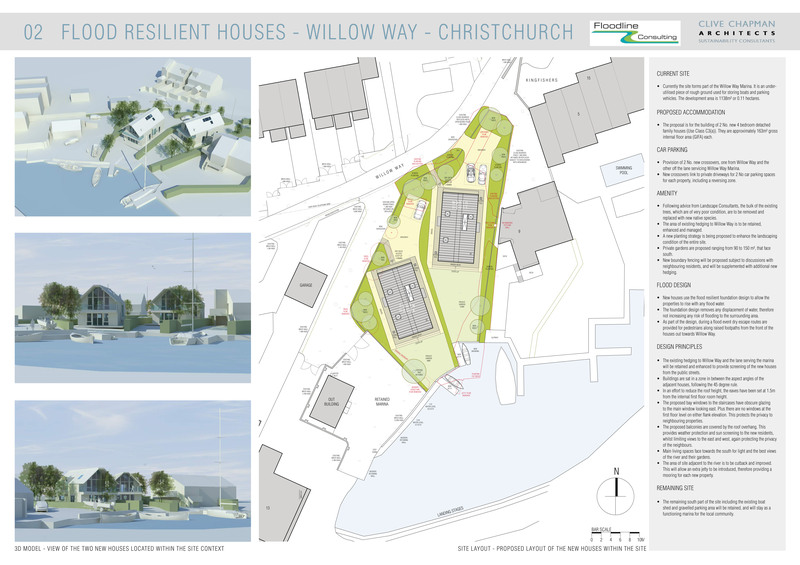 Includes parking, boat jetties, substantial private gardens and improvements to the landscaping within the site. 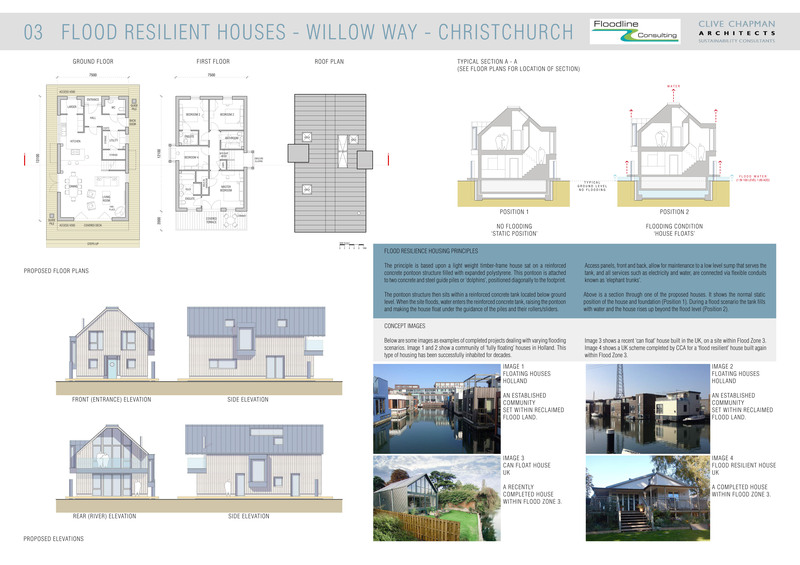 The new houses use the flood resilient foundation design to allow the properties to rise with any flood water. The foundation design removes any displacement of water, therefore not increasing any risk of flooding to the surrounding area. 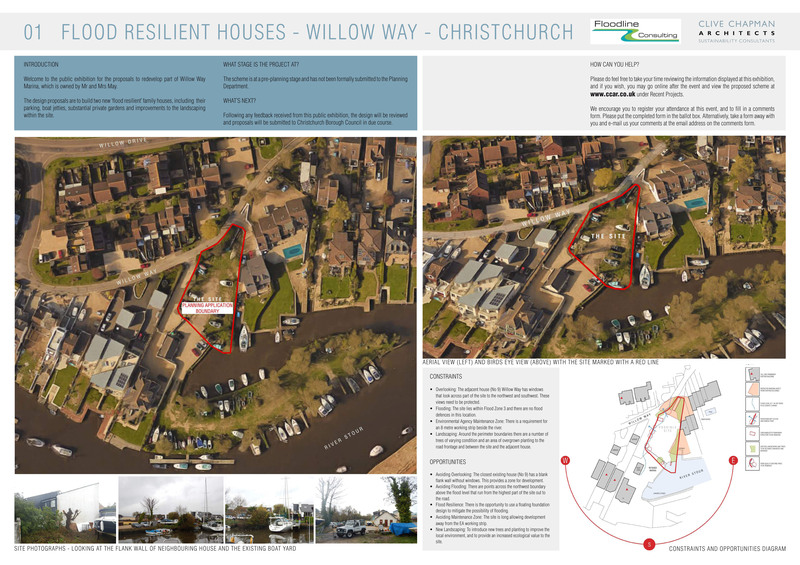 As part of the design, during a flood event dry escape routes are provided for pedestrians along raised footpaths from the front of the houses out towards Willow Way.